1) Secular humanism alone does not make one a "good Jew"- Rabbis Joel Tessler and Shmuel Goldin Is living as a "good, ethical person" enough to qualify a Jew's obligation to be "a good Jew?" Rabbi Joel Tessler, senior Rabbi of Beth Shalom Congregation in Potomac, MD presenting at the Orthodox Union's annual West Coast Annual Torah Convention in Los Angeles provides an Orthodox perspective. 2) Faith without deeds- can you be "a good Jew"? Orthodox Rabbi Shmuel Goldin of N.J.
Is living as a "good, ethical person" enough to fulfill the obligation to be "a good Jew?" Rabbi Shmuel Goldin of Congregation Ahavas Torah in Englewood, NJ provides an Orthodox interpretation. 3) Observant or secular: "Conduct unbecoming" a Jewish person? Rabbis on Jews' behavioral obligations Orthodox Union Convention Rabbis Shmuel Goldin and Joel Tessler comment on Jewish conduct vs. keeping of ritual observances. Also, obligations to emulate G-d in thought and behavior. Israeli filmmaker, Dror Moreh's look into ethical issues Israel faces in coping with irridentist Palestinian terrorism is a nominee for Best Documentary Feature in Sunday's 2013 Academy Awards. Mr. Moreh participated in post-screening question and answers with audiences in Los Angeles on Feb 2nd and 3rd. Roberta Seid and Roz Rothstein reviewed the film in Documentary as Propaganda: The Gatekeepers and Dishonesty in the American The Algemeiner, reprinted from the Jerusalem Post. Dror Moreh’s documentary, The Gatekeepers, could have been a profound film. Instead, Moreh uses his interviews with six former directors of Israel’s top security services to send a simplistic and deeply partisan political message: If Israel withdraws from the West Bank, terrorism will subside and peace will break out. To promote this message, the documentary engages in intellectual dishonesty and omits critical context. While most Israelis know the wider context, the average viewer probably does not, and therefore is vulnerable to the filmmaker’s biased version of the facts. Though the film tries to portray Israel’s antiterrorism policies as counterproductive and cruel, the interviews inadvertently tell a different story. The six directors are well-spoken, deeply thoughtful, and genuinely self-critical. However, the film repeatedly ignores history and context. It blames Israel for the Palestinian hostility and violence that occurred after 1967, when Israel began administering the West Bank. The Gatekeepers' Dror Moreh responds to audience questions after a recent screening in Hollywood, demonstrating the partisan, anti-religious agenda of his film. The viewer never learns from the film that terrorism against Jews and Israelis was not a result of Israel’s administration but rather has been a regular feature of life since pre-state days. Palestinian Arabs murdered over 1,000 Jews between 1920 and 1967, and they ethnically cleansed all Jewish communities from the areas they captured during the 1948 war, including the West Bank, Gaza and eastern Jerusalem. The pattern of terrorism simply continued after Israel’s victory in its 1967 defensive war. Yasser Arafat organized 61 Fatah military operations from the West Bank in the few months after the war, and 162 Israelis were killed by terrorists between 1968 and 1970. Prof. Abe Sion, visiting L.A. from Ariel University's Center for Law and Mass-Media, attended one of the screenings and confronted "The Gatekeepers" director Dror Moreh for mischaracterizing the situation (consistent with Roberta Seid's criticism) as Israel's ethical failings - for his personal aggrandizement. Nor does the film depict the nature of the enemy Israel faces. Hamas’ genocidal ideology never comes up in the interviews. Yet the goals of Hamas, clearly expressed in its charter and its leaders’ statements, call for the murder of Jews and the “obliteration” of Israel, and are suffused with anti-Semitism. The film ignores the relentless incitement to hate and kill Jews that pervades Palestinian society officially and unofficially. More disturbingly, the viewer never learns that Israel has repeatedly tried to do precisely what Moreh advocates. The film never mentions Israel’s offers to trade land for peace in 1967, 1979, 2000 and 2008, or that Palestinian leaders systematically rejected these offers. Moreh wants audiences to share his wishful thinking, that Israel can end the conflict simply by withdrawing from the West Bank. But recent history, omitted from the film, contradicts this expectation. Israel pulled out of its security zone in Lebanon in 2000 and removed every settlement and over 8,000 Israelis from Gaza in 2005. The results were escalating threats and terrorism from Iranian proxy Hezbollah in Lebanon and from Iranian client Hamas in Gaza, which fired over 13,000 rockets and mortars into Israel’s southern communities between 2005 and 2012. Ariel University's Prof Abe Sion explains why he feels "The Gatekeepers" is inaccurate, unbalanced, and unpatriotic to the Jewish nation. Dror Moreh’s effort to blame Israel and the Shin Bet’s actions for the ongoing hostility to the Jewish state is like blaming the victim who is defending himself instead of blaming the perpetrator. The Gatekeepers‘ material could have produced a profound film if it had not been sacrificed for a political message and if the film had been more intellectually honest and included the historical pattern of genocidal ideology, the ongoing violence, and the existential strategic challenges that Israel faces every day. It is these hard realities and that make the Shin Bet’s work so crucial and so heroic. Is the Obama Administration working to marginalize Zionistic Americans as "unpatriotic" or "unreasonable?" ... What is unprecedented is to appoint a high national security official because the president is peeved about someone else. Politico reports: The president feels personally invested in the nomination of Hagel. The Nebraska Republican is one of the few politicians he’s truly friendly with, and Obama plans to see the fight through, barring some major unforeseen development. Democrats close to the White House say the typically cool-headed Obama has expressed flashes of real anger at what he sees as a politically motivated GOP fishing expedition that already netted his first choice for secretary of state — U.S. Ambassador to the U.N. Susan Rice. Obama — ticked off by Rice’s treatment and still emboldened by his convincing victory over Mitt Romney — courted confrontation when he tapped Hagel. If true, this is outlandish. The president would imperil national security out of spite? The great irony, of course, is that while Hagel complains about the malicious power of the “Jewish lobby” Jewish organizations, with the notable exception of the Zionist Organization of America, have been almost entirely quiet regarding this toxic nomination of an unqualified bigot for the post of Secretary of Defense. The western progressive-left tends to think that the “Jewish lobby” or the “Israel lobby” or AIPAC, or perhaps just the Jews as a whole, have a strangle-hold over the United States government. It is a lie - and when influential people such as former Senator Chuck Hagel promote that lie they are spreading an ideological cancer of the sort that can have exceedingly dangerous consequences. This is precisely the kind of thing that most American Jewish organizations were created to oppose and, yet, they are silent. 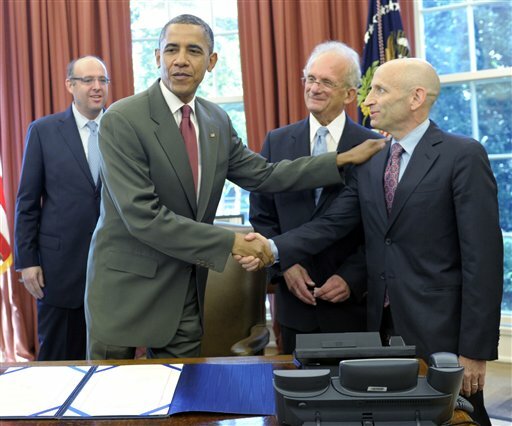 Jewish Democrats today, in the various pro-Israel / pro-Jewish non-profit organizations, seem incapable of mustering the fortitude to stand up to president Barack Obama. By failing to do so they offer cover to Jewish congressional politicians, such as Chuck Schumer or Dianne Feinstein, who themselves remain supine before this president. By refusing to accept the Hagel nomination without some further inquiry, the Republican Party has offered Jewish groups a golden opportunity to stand up for the best interests of the Jewish people, not to mention the best interests of the American people, through loudly and strongly and insistently opposing this nomination. If the state of Israel means anything, it means Jewish people standing up for themselves in their own defense. It means the resurrection not just of Jewish autonomy on traditionally Jewish land, but the resurrection of the Hebrew language and the creating and nurturing of Jewish culture in the arts and cinema and literature. What the Israelis have created is, in fact, nothing short of a miracle because they have done something never before seen in the history of the planet. They resurrected the national life of a people that wandered the earth, lost and desolate for two thousand years. If Israeli Jews can do that, why cannot American Jews grow a spine and stand up for themselves? AIPAC knows that Hagel is a potential nightmare, so why must they remain silent? What good are they if they will not fight the very fights that they were created for to begin with? I understand that it is counterproductive to fight battles that one is doomed to lose, but we are not doomed to lose this one if we would kindly show a little muscle and a little self-respect. Hagel is bad news and the world-wide Jewish community knows it, but the world-wide Jewish community has no say in who Congress affirms as the Secretary of Defense of the United States. But Jewish Americans do have a say and if we fail to make our voices heard in opposition to a clear and present danger than we let down the Jewish people as a whole. Something like 80 percent of American Jews, including me, voted for Barack Obama during his first election for the presidency in 2008. Something like 69 percent, without me, voted for Barack Obama during his second election for the presidency last year. Immediately upon securing his second term in office president Obama turned around and thanked his Jewish supporters with a nice smack in the head with this Hagel nomination. I say that it is time to stand up… long past time, actually." Pres. Obama has again turned down Israeli Prime Minister Netanyahu's offer to meet during his visit to Washington during the first week of March. Obama opts instead to meet with Netanyahu in Jerusalem. LatmaTV parodies Obama's intentions in planning his March trip to the Mid-East. 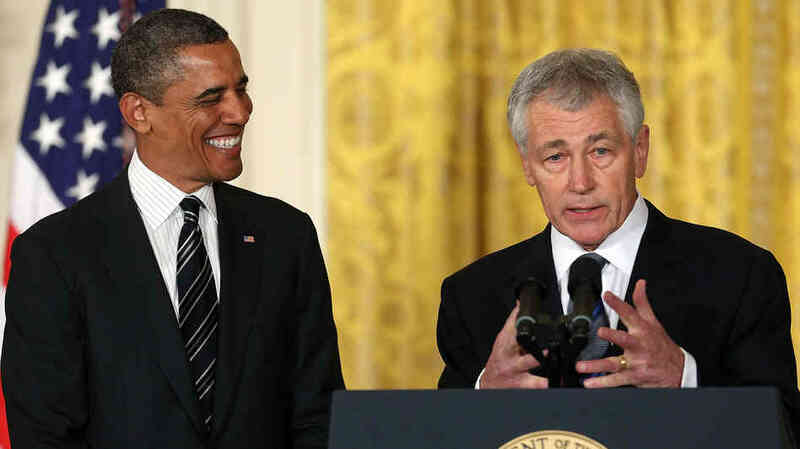 "Hagel is refusing to answer any of the questions or make any effort to get them the answers," the aide said. "He is basically telling Senators they have no right to know if he has been unduly influenced by foreign governments or foreign agents over the last five years. What is he hiding? I'm told several Senators, including McCain, who have previously expressed opposition to a filibuster said privately yesterday that failure to disclose foreign funding information would change their thinking." "Committee members have specific concerns with regard to foreign contributions to the Atlantic Council by Saad Hariri (or the Hariri family), Dinu Patriciu, Kazakhstan, Bidzina Ivanishvili (his supporters/network) – and the nexus between Chevron's investments in Kazakhstan and their involvement with Hagel at the Atlantic Council," the aide added. All of those groups have paid chairs or programs at the foundation. Dr. Mordechai Kedar, who spoiled al-Jazeera's challenge of Israel's overseeing Jerusalem, Judea, and Samaria, gives a background of the Islamist view and objectives for dominating Jews, Israel, and non-Muslim societies. He professes that the liberal-faciliated, Islamic cultural juggernaut which plagues Western European cities today is by design being implemented in the United States and internationally- with particular challenges to Jews as proxy supporters for the Islamist target of Israel- via the establishment of an Islamist Palestine state- which must not, for Jews' sake, be contiguous with Gaza. Dr. Mordechai Kedar, who teaches Arabic-studies in Israel, addressed the roots of the Islamist problem facing the world today at Jews' expense.